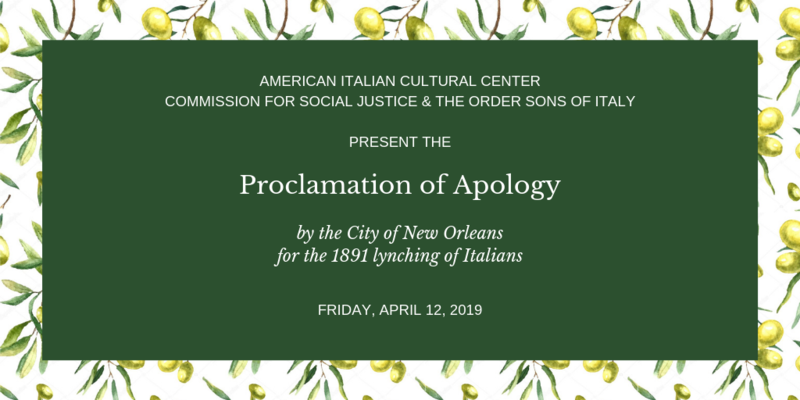 On Friday, April 12, 2019 at 11:00 am, the City of New Orleans will issue an official Proclamation of Apology to the Italian American community for the largest lynching in United States history. The American Italian Cultural Center, Commission for Social Justice, and the Order Sons of Italy have coordinated this event. On the evening of October 15, 1890, New Orleans Police Chief David Hennessy was shot by a group of unknown assailants. When asked who had shot him, Hennessy allegedly said, “Dagoes,” a derogatory term for Italians. Chief Hennessy died the next morning from his wounds. The police arrested hundreds of Italian men; 19 were ultimately charged with murder. The trial for 9 of the suspects began in mid-February 1891, six of the defendants were declared not guilty, while a mistrial was declared for the remaining three defendants. The judge ordered all nine men back to the Orleans Parish Prison to await trial for an additional charge of “lying in wait” with intent to commit murder, but it was clear that the charge would soon have to be dropped. On March 15, 1891, the Committee on Safety ran an advertisement in the local papers that called for a mass meeting at the Henry Clay statue in the middle of Canal Street. A crowd of thousands gathered and were further incensed by a speech by a local attorney before marching off to the nearby jail. The mob found and murdered eleven of the Italians. On March 17, a grand jury convened to investigate the lynching and ultimately concluded that the jurors in the Italian’s trial had been bribed to acquit the Italians. It presented no proof and there were no criminal charges. The lynching soured relations both between Italians and non-Italians in the city, and between Italy and the United States. The Italian government demanded justice through reparations and withdrew their ambassador from Washington D.C. until President Benjamin Harrison agreed to a $25,000 indemnity for the victims’ heirs. For decades, “who killa da chief?” remained a common taunt against Louisiana Italians. Nativists used the Hennessy murder as a rallying cry against immigration and fueled the cruel stereotype of Italians as organized criminals. The Proclamation of Apology will close this ugly chapter of Italian American history. It will be televised locally and nationally, however, the event is closed to the public. 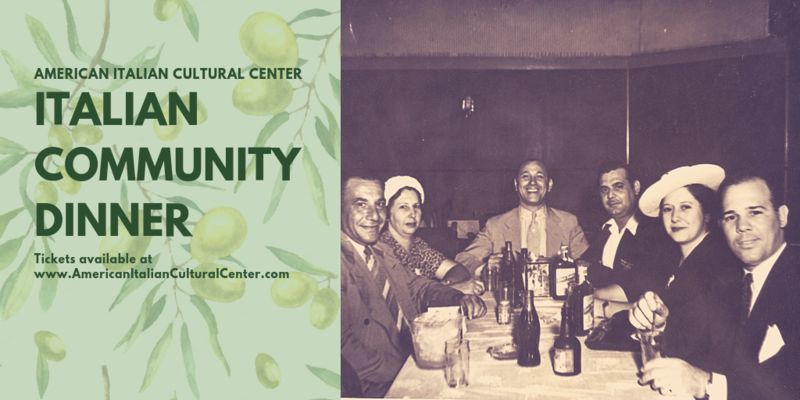 We cordially invite you to attend an Italian community dinner at Andrea’s Restaurant on Thursday, April 11, 2019. This event, held on the eve of Mayor LaToya Cantrell’s official Proclamation of Apology for the 1891 lynching of New Orleans Italians is an opportunity for the Italian American community to come together in remembrance and celebration. This is a plated three course dinner and the ticket includes tax & gratuity. There will be a cash bar. Prior to dinner, AICC Board Member Charles Marsal will speak on the Proclamation of Apology, St. Expedite Society, and other April events. We look forward to coming together as a community. 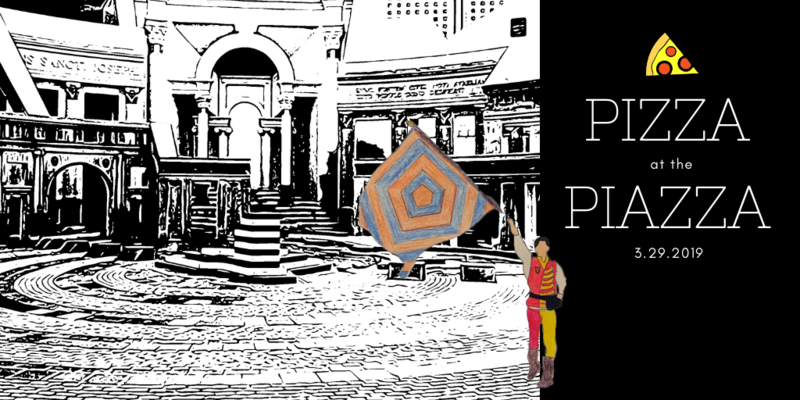 Join us for a pizza party at the Piazza d’Italia and check out the AICC’s newly rennovated second floor event space while mingling with the Sansepolcro flag throwers! This will be a fabulous evening with friends, food, and fun. Tickets include unlimited food (appetizers, pizza, salad, & dessert) and a wine ticket. In 1953, the Società dei Balestrieri rediscovered the art of flag throwing. In the following decades, the group has travelled internationally sharing their culture and fostering friendships. Inspiration for the performance comes from the geometric patterns of Sansepolcro’s most illustrious citizen, Piero della Francesca, the great Renaissance master of perspective. 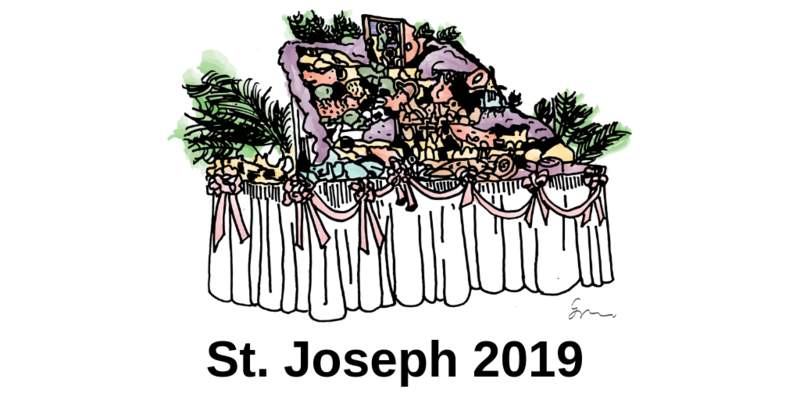 Saturday, March 23: 6:00 pm Catch the flag throwers marching in the 49th Annual St. Joseph’s Day Parade in the French Quarter. Saturday, March 24: 12:00 pm Catch the flag throwers marching in the 37th Annual Louisiana Irish-Italian Parade in Metairie. Wednesday, March 27: 1:30 pm East Bank Regional Library (4747 W Napoleon Metairie, LA 70001) and 7:00 pm at the Prytania Theater before the premier of The Monumental Journey, details HERE. 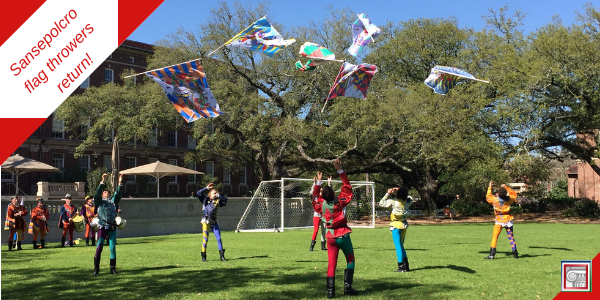 Friday, March 29: 5:00 pm Piazza d’Italia (377 Poydras St, New Orleans, LA 70130) After the performance, the AICC is hosting Pizza at the Piazza, details HERE. The 2019 Italian Grand Marshall is Dominick Impastato and the 2019 Irish Grand Marshall is Greg Champagne.